Well, there’s bound to be a few opinions on this one. You can’t miss the news. [jacindaardern And we thought 2017 was a big year! No doubt you will be able to link to more of other people’s thoughts in the comments. … but obviously men can go to hell. It’s entirely possible Jacindarella’s baby has descended the country into a total absence of logic and only a Feminist would have anything to say. Annabel Crab: Essentially Ms Adern has a wife, like the male leaders who tramped before her through history. Isn’t it wonderful that Macho Man Clarke is setting a good example by being a stay at home dad. We strongly support ways in which our society can find to accommodate and value women’s role as child-bearers and early nurturers, and to reduce any deleterious impact of that role on each woman’s career, economic welfare, social contribution and life satisfaction. So we congratulate the couple and celebrate our nation’s accommodation of Ms Adern’s multiple roles. However, we observe that it is a great risk for Mr Gayford to take on a primary caregiving role under current NZ law and attitudes. 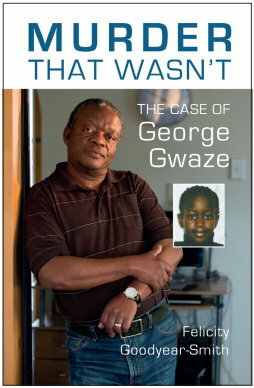 He, and any other father in that role, faces a greater-than-even chance of suffering huge emotional trauma when the child’s mother tires of him and, with the sexist collusion of our Family Court, trashes his primary caregiving relationship either by seizing it for herself or farming it out to family or childcare centres. 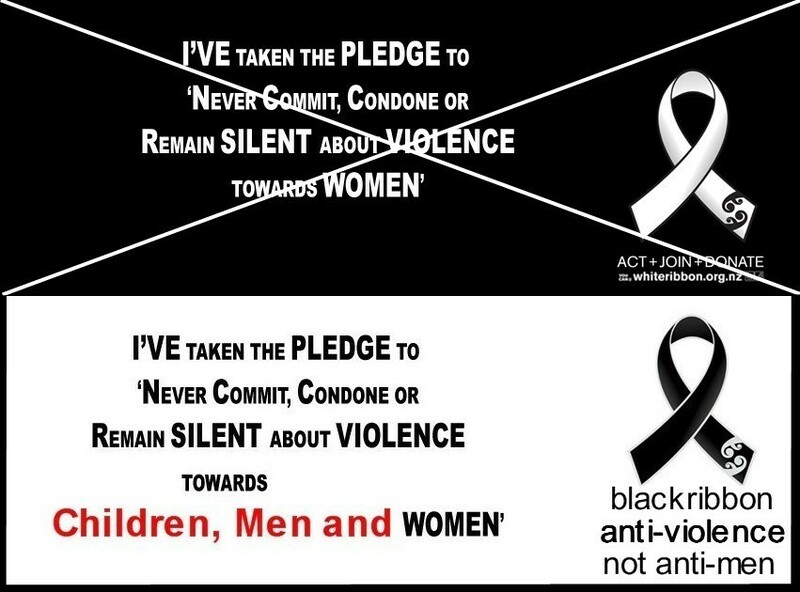 The methods conveniently available for women to trash emotionally bonded relationships between fathers and their children frequently ruin the men’s lives. 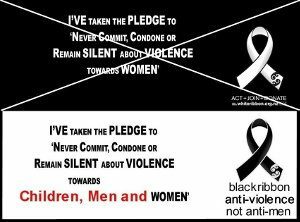 Methods such as ‘protection’ orders and/or false allegations of violence or sexual deviance that our Family Courts are obliged to treat as ‘guilty unless the man can convince the Court he is safe”. That can take years even in the relatively unlikely event that it can be successfully achieved. All that time the father-child relationship is damaged progressively, the once fully involved parent is emotionally damaged and he may join the throng of men who commit suicide in those highest-risk circumstances for suicide. The allegations often damage the man’s reputation and ability to resume his career or even to find any employment. The emotionally violent Family Court process often damages men commonly resulting in depression, alcoholism and/or self-destructive behaviour. We are willing to wager that Clarke Gayford will at some stage be thrown out by Ms Adern and he will come to understand something of the warning herein. For his sake, hopefully that won’t happen, but the warning stands and is realistic for all fathers and potential stepfathers. I support your congratulations to the couple as you might any other who is sharing their good news. On the other hand I do not support that parliament might endorse and accomodate pregnacies during parliamentary terms of any member of parliament. While some woman may be able to cope, that is an example the majority of woman could follow not. False illusions are dangerous tertiary for young and aspiring couples. Pregnancy is also a medical condition that reduces an MPs availability to the public and to that role. It looks to me like MOMA has suddenly gone a strange shade of grey. Feminists might argue that we’ve moved on from representative government to responsible government so it’s just a job anyone can do. But that might lead to the role becoming a glorified DPB. Surely your country shouldn’t have to compete for your attention with a colicky toddler. Adern to donate part of her salary to Plunket to compensate for her down scaled job. I wonder if Plunket will ask her if she feels safe with Clark. She might feel safe with Clark but Clarke may not! I wouldn’t like to see him come out the wrong side of it. Knowing you’re under constant surveillance, being the subject of political and financial attacks, having to stand your ground against intimidation, threats, and physical violence … . If she does have a bad pregnancy they’ll circle the wagons for her and he’ll get labeled as domestic violence loser and typical Kiwi macho man. I am confused. Which Clark is the father? We know that Helen Clark is involved with Jacinda’s party. So who is the father again? You can see it coming now. Other kids teasing this kid in the school ground. Just as the Family Court tries to reduce a father to that woman’s level of incompetence now we see this in the house of parliament where the country is asked to watch as a woman reduces government to suit her level of pregnant competence. So then we note that a baby does best when it gets enough of both mum and dad, ie that they both form a safe and close attachment, now I figure Clarke will be like mum in this family, and I hope he can cope with the baby feeds, long nights, lack of sleep and cabin fever, he will need a form of support around him that understands and preferably also has babies.. So I hope Clarke gets lucky, or he will need a support group like this…. But you never know, he might be hosting morning teas for solo dad’s some time soon. No chance of a paternity test then. Maybe she had been trying for ages/years with Clarke and nothing was happening so she did a deal with Winston. Maybe she never had a problem. Perhaps Helen Clark had unfinished business and told her to get pregnant and pull the Waitangi stunt. 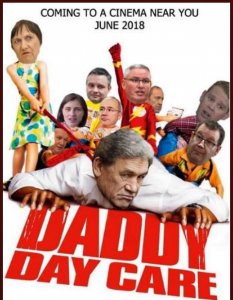 I’m picking we’ll see Grant Robertson position himself as Jacinda’s replacement now Waitangi Day is over and done with. 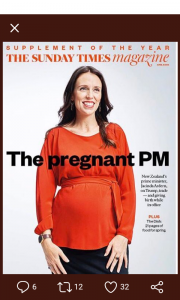 Pregnant PM is in the international media ahead of the upcoming Commonwealth heads of government meeting.